At Bruesewitz Plumbing, Inc. of Burlington, WI, we offer more than just plumbing services. We also provide you with complete design work and turnkey solutions for your new bathroom, kitchen, remodel project, and more. Are you remodeling your kitchen or bathroom? 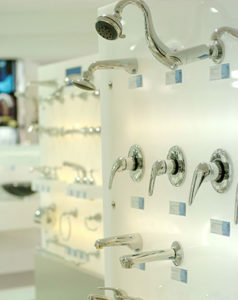 Stop by our fully interactive showroom to see a wide variety of options, all fully operational. Browse high-end faucets, Jacuzzi tubs, showerheads, and other fixtures to get ideas for which options will look best in your home.